Installation view of Ugo Rondinone's exhibition good evening beautiful blue. Photography by Zachary Balber. Courtesy of the artist and The Bass, Miami Beach. 우고 론디노네는 미국 플로리다의 마이애미 비치에 위치한 더 배스 미술관에서 10월 29일부터 2018년 2월 19일까지 개인전 《good evening beautiful blue》을 개최한다. 2015년부터 개조 증축공사를 진행하여 2017년 10월 재개관한 더 배스 미술관의 2층에서 열리는 이번 개인전에는 공공조형물부터 실물크기의 창문을 드로잉한 (2008), 어릿광대들이 인간의 보편적인 감정과 행위들을 재현하는 (2014-2016) 등 90년대부터 지금까지 참작해 온 작가의 작품들을 선보인다. 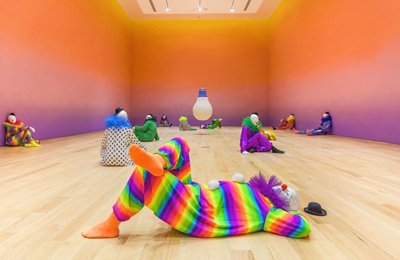 Ugo Rondinone is featured in a solo exhibition titled good evening beautiful blue from October 29, 2017, to Februrary 19, 2018, at the Bass Museum of Art in Miami beach, Florida, USA. Spanning the entirety of the museum’s newly designed second floor, the exhibition is part of a major multi-institution retrospective comprising of works that span three decades of the artist’s practice from the late 1990s to the present. The show includes clockwork for oracles II (2008), which are drawings of full-sized windows, and vocabulary of solitude (2014-2016), an installation in which life-sized clowns are shown expressing universal human emotions and demeanors. 김홍석과 Sasa는 10월 27일부터 2018년 2월 4일까지 광주 국립아시아문화전당에서 열리는 그룹전 《달의 이면》에 참가한다. 이 전시는 아시아의 현대미술 작가, 디자이너, 건축가 등 22명(팀)이 프랑스 마르세유의 유럽지중해문명박물관(Mucem, 이하 뮤셈)의 소장품을 참조하며 유럽지중해 지역의 민속전통과 일상문화를 자유롭게 해석한 신작들로 구성되어 있다. 백만 점이 넘는 뮤셈의 방대한 소장품을 조사∙연구하고, 기발한 상상력을 통해서 유럽지중해의 일상문화를 이색적으로 읽어 볼 수 있는 기회를 제공하며, 더 나아가 현대미술을 통해서 동서양의 민속적인 것, 대중적 전통, 이국적 취향, 낯섦 혹은 익숙함에 대한 ‘다르게 읽기’를 제안하고자 한다. 김홍석은 풍선 형태의 조각작업인 <Inadequate>을, Sasa는 포스터와 아디다스 신발 설치작업을 선보인다. Gimhongsok and Sasa are featured in a group exhibition titled The Other Face of the Moon at Asia Culture Center in Gwangju from October 27, 2017, through February 4, 2018. 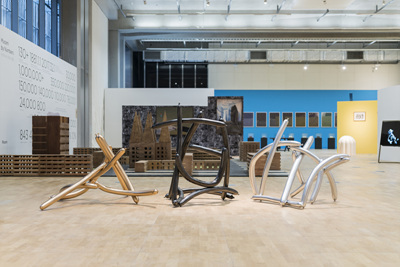 The exhibition brings together twenty-two Asian contemporary artists, designers, and architects, presenting recent works that are in dialogue with folk traditions and everyday life of the Mediterranean as informed by the permanent collection of the Mucem (Museum of the Civilizations of Europe and the Mediterranean) in Marseille, France. The presentation provides the audience with an opportunity to examine and explore the Mucem's extensive collection of over a million works and understand the Mediterranean culture and lifestyle. 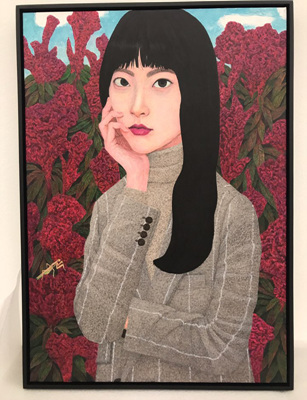 The exhibition furthermore suggests alternative commentary on Eastern and Western folklores, widely accepted traditions, and notions of exoticism, unconventionality, and familiarity. On view are Gimhongsok’s balloon-shaped sculpture Inadequate and Sasa’s installation of posters and Adidas sneakers. 최재은은 10월 25일 서울역사박물관에서 DMZ 프로젝트 <대지를 꿈꾸며 (Dreaming of Earth)>에 대한 공개 발표회를 개최한다. 최재은의 DMZ 프로젝트 <대지를 꿈꾸며>는 지난 2015년부터 시작된 국제적 비전의 대규모 프로젝트이다. 남북 분단을 상징하는 철원지역 비무장지대(DMZ)가 역설적으로 생태계 보존지역이 되었다는 사실에서 착안하여 갈등과 분단을 생명의 힘으로 극복하자는 의미로 작가는 DMZ에 공중정원, 통로, 정자, 종자은행, 지식은행 등을 설치하고자 하는 프로젝트를 기획하였다. 발표회에서는 모두 12개의 정자 중 다섯 곳의 디자인이 발표될 예정이다. 올라퍼 엘리어슨과 건축가 세바스티안 베흐만이2014년 건립한 Studio Other Spaces, 스튜디오 뭄바이, 이우환, 이불, 가와마타 타다시가 각각 정자 디자인을 제안한다. 세 개의 탑 중 두 곳으로 승효상과 최재은이 디자인한 안이 제안되며, 제2 땅굴을 이용한 종자은행과 지식은행의 설계는 Mass Studies 조민석이, 그에 대한 매뉴얼은 정재승이 기획하여 발표한다. 또한, 시게루 반의 제2차 공중정원 통로(Passage) 디자인에 대한 발표, 최재은의 <대지를 꿈꾸며>가 설치될 장소의 생태계에 대한 비전과 지뢰 제거 안, 그리고 <대지를 꿈꾸며> 프로젝트 전체 보고가 있을 예정이다. 이외에도 특별히 『인간 없는 세상(The World Without Us)』과 『생명공동체 가비오타스 이야기 (Gavictas:a Village to Reinvent the World)』의 저자 앨런 와이즈먼(Alan Weisman)을 초청하여 DMZ의 생태사적 의의에 관한 특별 강연이 열릴 예정이다. Jae-Eun Choi will present a comprehensive public overview of her project Dreaming of Earth at 2PM on October 25, 2017, at the Seoul Museum of History. 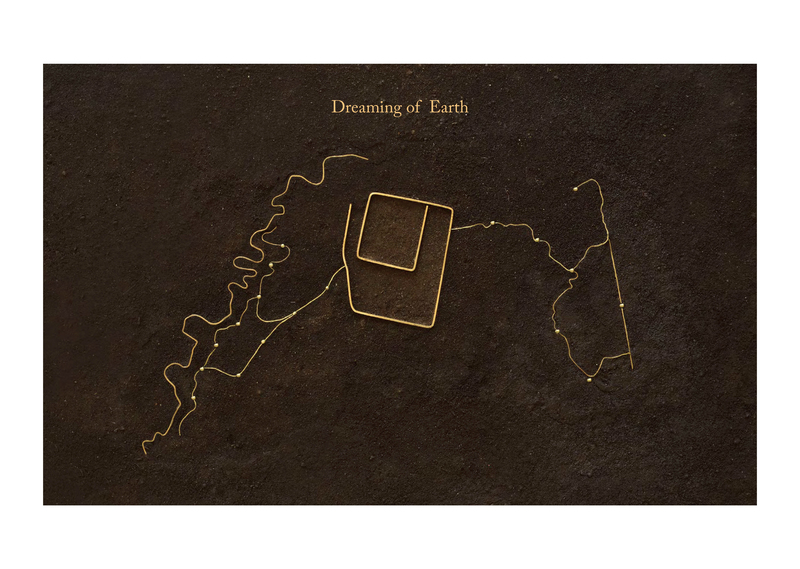 Jae-Eun Choi’s Dreaming of Earth is an ambitious project with an international vision conceived and designed specifically for the DMZ (Korean Demilitarized Zone). An unlikely sliver of pristine and untouched land that separates two nations, the DMZ has been recently recognized as an ecologically diverse site of profound environmental importance. Responding to this highly charged location, Choi has proposed a comprehensive landscape and architectural design to both protect and celebrate this ecological preserve, including a floating garden and elevated passages to metaphorically (re)connect the two Koreas and allow for the appreciation of nature. Five of the proposed twelve Jung Ja designs, which will be presented at the conference, have been designed by internationally celebrated artists Lee Ufan, Lee Bul, and Tadashi Kawamata as well as the architect collective Studio Mumbai and Studio Other Spaces, an international office for art and architecture founded by artist Olafur Eliasson and architect Sebastian Behmann. Jae-Eun Choi and architect Seung H-Sang have each submitted a design for two of the proposed three towers, while architect Minsuk Cho, Founder of Mass Studies, has designed the Seed Bank and Knowledge Bank. These structures will be built on top of an underground tunnel. Jaeseung Jeong has designed a manual to accompany the presentation documenting the research and conceptual foundation of the entire project. As part of the event, Shigeru Ban will outline his second design concept for the floating garden passageway and Choi will present her comprehensive vision for the overall project including a detailed overview of the site’s ecology, geography, and the plan for the eradication of land mines. The presentation will also include a lecture by the guest of honor and acclaimed author Alan Weisman, who will discuss the significance of the DMZ ecosystem. Weisman is the author of The World Without Us and Gaviotas: A Village to Reinvent the World. 빌 비올라는 캐나다 몬트리올에 위치한 DHC/ART 현대미술재단 (DHC/ART Foundation for Contemporary Art)에서 10월 25일부터 2018년 3월 11일까지 개인전 《Naissance à rebours》을 개최한다. DHC/ART 현대미술재단의 10주년을 기념하여 개최되는 이번 개인전에는 <The Return>(2007), <조상들 Ancestors>(2012), <Walking on the Edge>(2012), 과 <조우 The Encounter>(2012) 등 4개의 플랫패널 비디오 작업과 프로젝션 작업 <승천 Ascension>(2000), 그리고 2015년 국제갤러리 3관에서 소개된 바 있는 대규모 작품 <도치된 탄생 Inverted Birth>(2014) 이 소개된다. Bill Viola is featured in a solo exhibition titled Naissance à rebours at DHC/ART Foundation for Contemporary Art in Montreal, Canada, from October 25, 2017, through March 11, 2018. Marking the 10th anniversary since the opening of DHC/ART Foundation for Contemporary Art, four of Bill Viola’s flat panel video works The Return (2017), Ancestors (2012), Walking on the Edge (2012), The Encounter (2012), as well as the single-channel projection work Ascension (2000) are presented in the exhibition. Also on view is the artist’s large-scale video installation Inverted Birth (2014), which was introduced at Kukje Gallery’s K3 space in 2015. 우고 론디노네는 베르사유 궁전에서 개최되는 제 10회 현대미술전 <겨울여행 Voyage d’Hiver>에 참가한다. 2008년 제프 쿤스를 시작으로 자비에 베이앙(2009), 이우환(2014), 아니쉬 카푸어(2015)와 올라퍼 엘리어슨(2016) 등의 개인전이 매년 궁전과 정원에서 개최된 바 있으며, 올해는 팔레 드 도쿄의 기획으로 17명의 현대미술작가들의 그룹전이 개최된다. 우고 론디노네는 베르사유 내 가장 오랜 역사를 자랑하는 ‘아폴로의 연못’ 앞에 태양을 형상화 한 <The Sun> 작품을 설치한다. 이 작품은 정원의 중앙부에 위치하는 연못에 설치된 17세기 조각 <아폴로의 전차>의 전면에 세워져 궁전과 대치를 이루며 개별 존재의 유한성과 자연의 순환을 상기시킨다. Ugo Rondinone is participating in Winter Journey, the 10th contemporary art exhibition at the Palace of Versailles through January 7, 2018. Every year since 2008 the Palace of Versailles has held an exhibition dedicated to a French or foreign artist, with Jeff Koons in 2008, Xavier Veilhan in 2009, Lee Ufan in 2014, Anish Kapoor in 2015, and Olafur Eliasson in 2016. This year, the Palais de Tokyo has curated a group exhibition with seventeen contemporary artists. 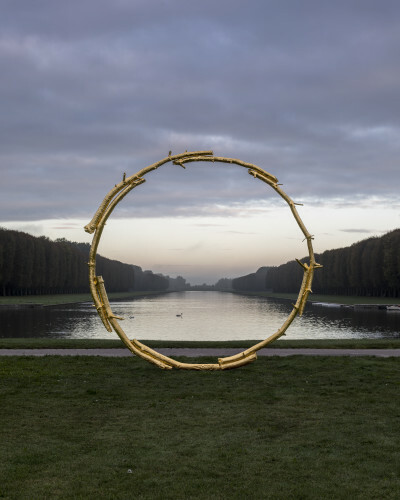 Ugo Rondinone’s sculpture the sun (2017), which evokes the solar wheel, is installed by the historical ‘Fountain of Apollo.’ The work faces the 17th century sculpture Apollo’s Chariot, situated at the center of the fountain, creating a conversation with the existing landscape while alluding to existential finitude and the circulation of nature. 함경아는 파리의 레 살롱 오슈 (Les Salons Hoche)에서 개최되는 제 3회 파리 아시아 아트페어 <ASIA NOW>에 참여한다. FIAC 아트페어와 같은 기간인 10월 18일부터 22일동안 개최되는 <ASIA NOW>는 2015년 처음 개최된 유럽 최초의 아시아 아트페어로서 올해는 국제 무대에 영향력 있는 30개의 동서양 갤러리들이 참여하여 다양한 아시아 현대미술 작가들의 이름을 홍보하고 지원 할 수 있는 기회를 갖는다. <ASIA NOW>에서 함경아는 특별전 형식으로 <Mona Lisa and the others from the North>(2015) 작품을 선보인다. 2015년 광저우 트리엔날레에 전시한 바 있는 이 작업은 북한의 자수공예가들이 수놓은 모나리자가 그려진 자수회화와 한국에 정착한 새터민들의 인터뷰 영상을 병치하여 모나리자로 대표되는 보편화된 서양 문화와 북한의 현실을 재치있게 드러낸다. Kyungah Ham will participate in the third iteration of ASIA NOW at Les Salons Hoche in Paris from October 18 to 22, 2017. Launched in 2015, ASIA NOW is Europe’s first boutique art fair devoted to showcasing contemporary Asian art. The third edition of the fair will open on the same dates as FIAC (Foire internationale d'art contemporain) and approximately thirty prominent Asian and western galleries will promote a diverse pool of contemporary Asian artists. 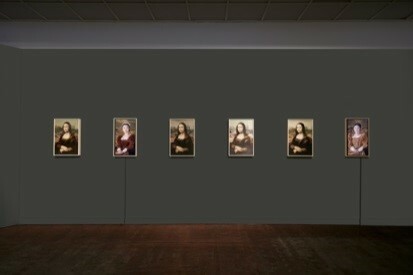 Kyungah Ham will exhibit Mona Lisa and the others from the North (2015) as part of a special project at the fair. Previously showcased at the Guangzhou Triennial in 2015, the installation juxtaposes embroidery depicting the Mona Lisa made by North Korean artisans with interviews of North Korean refugees who have settled in South Korea. Ham creates a witty contrast between western culture as embodied by Leonardo de Vinci’s iconic painting and the reality of life in North Korea. 김환기, 권영우, 정창섭, 박서보, 하종현, 이우환 등 단색화 거장들의 작품이 10월 14일부터 12월 24일까지 일본 도쿄 오페라 시티 아트 갤러리에서 전시된다. 도쿄 오페라 시티 아트 갤러리는 1999년 개관 이후부터 꾸준히 한국 추상회화 작품들을 선보여왔으며, 컬렉터 테라다 코타로가 수집한 작품 중에서도 큰 비중을 차지한다. 《Rhythm in Monochrome: Korean Abstract Painting》라는 제목으로 개최되는 이번 전시에는 테라다 코타로의 컬렉션을 기반으로 19명 작가들의 작품을 통해 한국의 추상회화 작품들이 탄생하게 된 시대적, 사회적 배경과 작품 경향을 두루 살펴볼 수 있는 기회를 제공한다. Works by Dansaekhwa artists including Kim Whanki, Kwon Young-Woo, Chung Chang-Sup, Park Seo-Bo, Ha Chong-Hyun, and Lee Ufan are featured in Rhythm in Monochrome: Korean Abstract Painting, a comprehensive exhibition taking place at Tokyo Opera City Gallery in Japan from October 14 to December 24, 2017. Tokyo Opera City Gallery has showcased a significant number of Dansaekhwa works since its opening in 1999, many of which comprise a significant portion of the collection of Terada Kotaro, one of the operators of the museum. Works by nineteen artists, many of them on loan from the Terada Kotaro collection, are featured in Rhythm in Monochrome: Korean Abstract Painting. 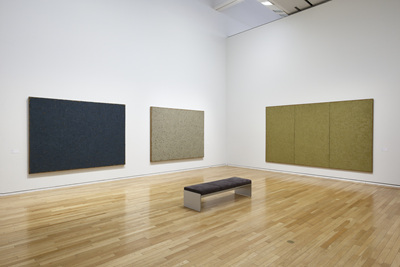 The exhibition attempts to chart the historical and sociopolitical landscape that frames the dawn of Korean abstract paintings, along with the development of the movement known as Dansaekhwa in the present day. 문성식과 하퍼스 바자 코리아가 진행한 바자 아트 프로젝트가 2017년 10월호 하퍼스 바자 아트와 웹사이트를 통해 공개되었다. 문성식은 윤여정, 임수정, 김옥빈, 천우희, 정은채 등 다섯 명의 배우들을 직접 스튜디오에서 만나 관찰하고 대화를 나눈 경험을 바탕으로 새로운 초상화를 그려냈으며, 5개의 초상화 작품들은 하퍼스 바자 아트 매거진의 멀티커버로 소개되었다. 작가는 인터뷰를 통해 “아름답다고 일컬어지는 여배우들을 그리면서 표면의 묘사 그 너머의 이면을 표현하고 싶었다” 며 “그림에 필요한 요소들을 모은 후에는 내 스타일대로 변형을 시도”하여 기존과 다른 작가만의 회화작품을 완성하였다. 작가의 인터뷰와 촬영 과정을 담은 스케치 영상은 하퍼스 바자 인스타그램에 총 4회에 걸쳐 소개되었다. Sungsic Moon's collaborative Bazaar Art Project with Harper's Bazaar Korea has been released in the October issue and website of Harper's Bazaar Art. Moon invited five Korean actors—Youn Yuh Jung, Lim Soo Jung, Kim Ok Vin, Chun Woo Hee, Jung Eun Chae—to his studio and created individual portraits of each of the five actresses. The five portraits were then introduced as cover images of the October issue of the magazine, along with an extensive feature on the artist and actors. Moon has stated in his interview that he “wanted to portray what is beneath the surface of each actor, beyond an exterior portrayal of their apparent beauty,” completing each work “upon gathering all components essential for any painting, transforming each subject with a style that is uniquely his.” Harper’s Bazaar has introduced the interviews and Behind the Scenes over four posts on their Instagram platform.